1940s | Brad's All Vinyl Finds! When does a record seem too good to be true? 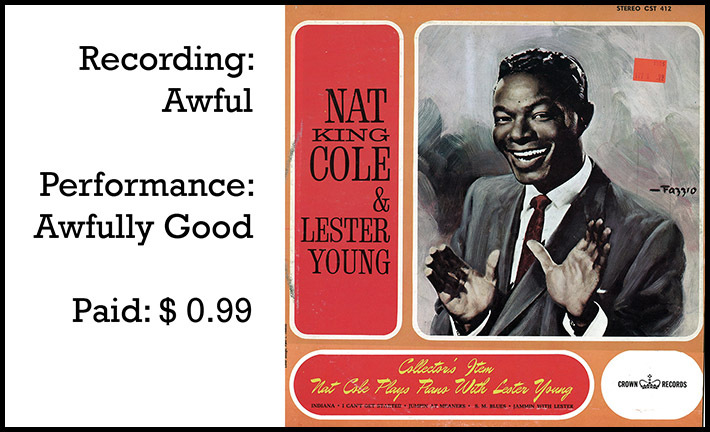 When it’s Crown Records CST 412, Nat King Cole & Lester Young! Of the five tunes, Lester does play on all five, but Cole only two. Given Cole on the cover, you’d think he would be on every song. It’s always hard to know what you’re getting with Crown, since there are never any liner notes.